Turn up the drama of your night-out look with this statement number! 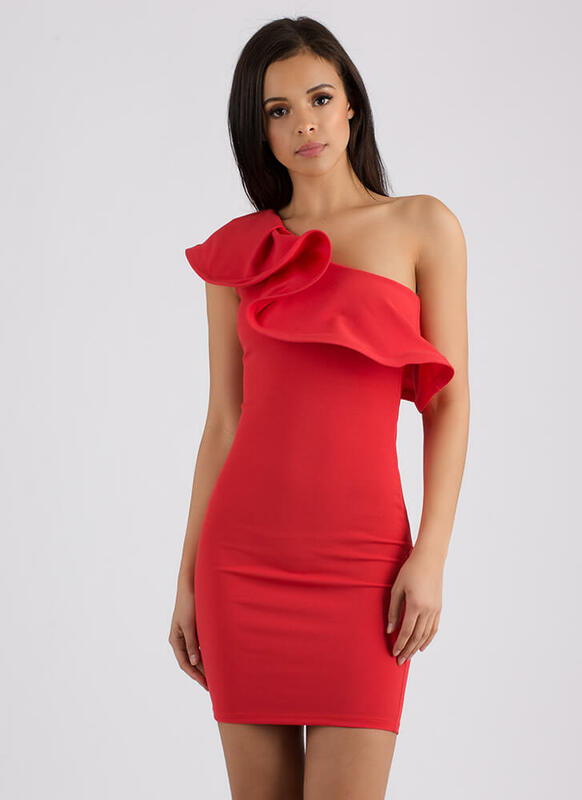 Stretchy one-shoulder mini dress features a diagonal neckline that highlights a wide statement ruffle with banded trim for structure. Bodycon dress does not have closures.